USDA's Agricultural Marketing Service (AMS) is now offering a new, lower-cost verification program to allow small-scale, grass-fed livestock producers to certify that their animals meet the requirements of the USDA Certified Grass-Fed claim. 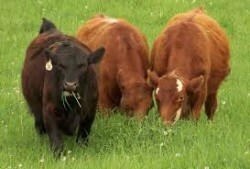 The program is designed for producers marketing 49 cattle or less each year. The set fee for review and approval is $108 and is good for two years. Click here for more details.